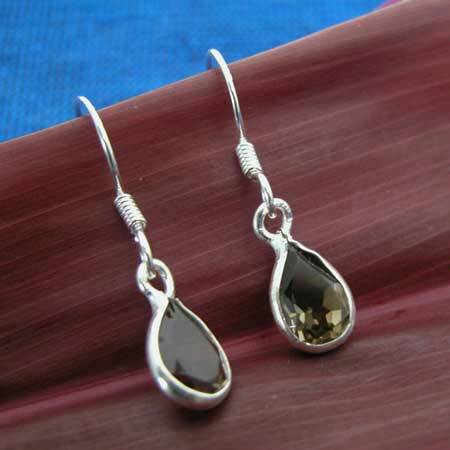 Faceted teardrop earrings. Understated elegance with a single faceted stone set in a sterling silver wire bezel. Measures about 1-1/4" tall including earwire. Handmade in India. Matches necklace N501.